The Lincoln Show-produced/directed “Open to All” PSA for the CW has been featured on Hollywood Reporter and PromaxBDA’s Top Stories! The campaign highlights the network’s commitment to diversity and inclusion, in front of and behind the camera. We’re very proud to have been a part of creating this campaign, and happy to see its positive reception! 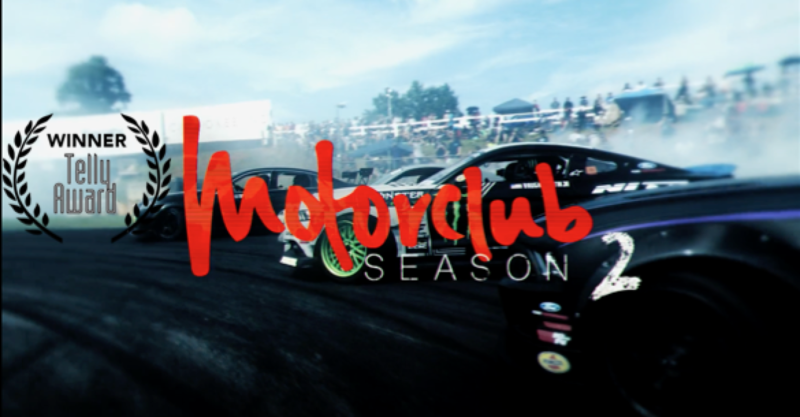 Lincoln Show original series Motorclub on NBCSN was awarded a 2018 Telly Award in the Documentary Series category, placing it in the company of other elite franchise programs, including ESPN’s “30 for 30”. This recognition honors our cast and tireless crew, who helped us bring together two exhilarating seasons, “flag to flag” and to the podium– thanks, team! Lincoln Show Studio traveled to Toronto with our creative friends from Warner Bros. to collaborate on a shoot campaign introducing the characters from the new series set to launch on DC Universe. PromaxBDA‘s Daily Brief has featured two trailers from Motorclub’s second season in their Hot Spots: a teaser for our episode with F1 champ Daniel Ricciardo, and a sneak peek at our interview with Scott Dixon about his traumatic crash at the Indy 500. Read the full piece here See all the Motorclub teasers here. “Mysteries of Riverdale” Gets Hot! PromaxBDA awarded Mysteries of Riverdale “Hot Spot” in today’s Daily Brief! Checkout the full spot above. Our Riverdale Promo Footage Premieres! Thanks to PromaxBDA for spotlighting our mid-season sizzle for The CW in this week’s Daily Brief! The sizzle features our favourite CW stars from Arrow, The Flash, The Originals, The 100, Jane The Virgin and more, as well as brand new footage of the Riverdale cast! Our launch campaign for Supergirl on the CW is taking off! More than 3 million views on Facebook and counting. No real hillsides were harmed in the making of this spot. We had a great time working closely with the creative team at E! News to launch their “Be Pop Cultured” campaign, and consulting on the visual flow of their amazing new set. WAGS Miami Gets Hot Spot of the Week! PromaxBDA made our WAGS Miami piece the Hot Spot of the week in their Daily Brief! Check out the spot above.